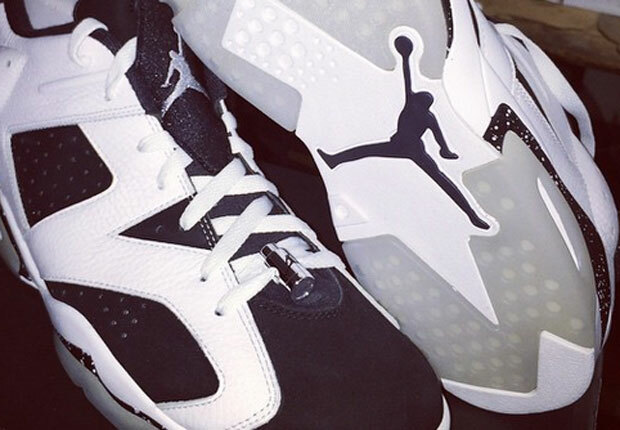 It’s been over a half decade since we last saw the “Oreo” theme land on the Air Jordan 6. And even though last year was the silhouette’s 23rd year anniversary, Jordan Brand has something special planned for this summer: they’re bringing back the Jordan 6 Low in at least 3 colorways. One of them will be the Air Jordan 6 Low “Oreo”. The aesthetic remains relatively unchanged, as the brand interestingly won’t be adding that icy blue touch on the outsole, as the shoe sticks with the purest form of the translucent bottom instead. A chrome lace lock matches the Metallic Silver branding on the tongue and heel. Stay tuned for a release date in the coming days and let us know if you’re excited about the return of the Air Jordan 6 Low silhouette by penning your thoughts in our comments section.